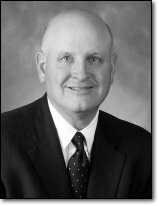 Don Townsend is an executive search consultant and an executive coach for senior leaders new to their roles. Don has experience in the computer, telecommunications, instrumentation, IT services, financial services and engineering/construction industries. He has conducted senior leadership and board of director assignments in Canada, France, Germany, Great Britain, Japan, Mexico, the Netherlands, Sweden, Switzerland and the United States. He is particularly skilled in finding European leadership for US firms and American leadership for the US operations of European firms. In addition to his executive search work, Don is an expert in executive assimilation, coaching senior business leaders on how to effectively take charge in new assignments. His coaching work is grounded in his 20 years of experience in industry coupled with six years of systematic research. Don was a Vice President at A.T. Kearney, the global management consultancy, from 1997 to 2003. Prior to that, he held Human Resources positions with Hilti AG, Telex, Teradata, NCR and AT&T. During his industry years, Don also held leadership roles in Quality and Marketing. Don has bachelors and masters degrees from The University of Texas at Austin.